– at their fingertips, on-demand, when they want it, when they need it. And now, accessing life-changing content at the palm of your hand just became easier with these new features. 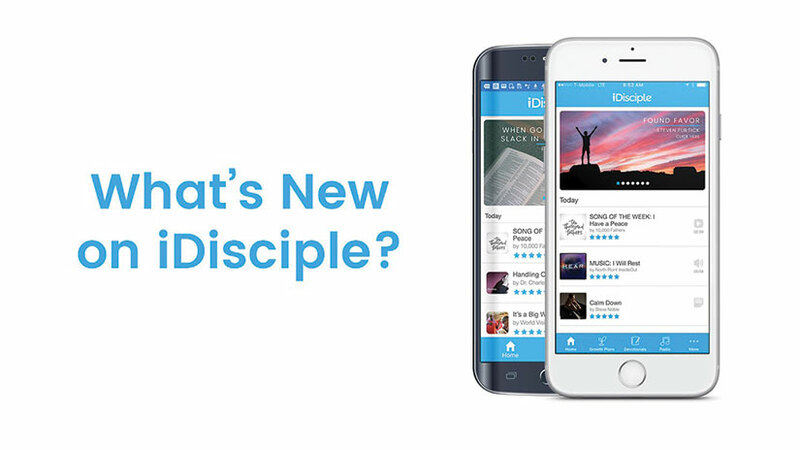 iDisciple app users can now access their favorite platform features through the bottom navigation menu with iDisciple’s newest update, released August 2017. No matter what kind of inspiring content you’re reading or listening to, access your next Growth Plan, Devotional, piece of music and more with just a scroll of your thumb. This update provides an easier and faster way for users to access the content they’re looking for, allowing them to be closer connected to their faith and it is available on both the Spanish and English versions of the app. Aside from iDisciple’s key features, all other features and content pieces can be accessed from the bottom navigation menu by selecting “More”. App users have access to an FAQ page within the app by going to “My Profile” and selecting “Support”. Can’t find the answer you’re looking for? Visit the “Contact Us” page within the app or online here and a member of our Customer Support Team will follow up with you directly. Loved an article you read or sermon you listened to? Dive deeper by shopping for books and a wealth of other materials created by your favorite voices of inspiration in the iDisciple online store. Access to the iDisciple online store can be found through a link at the bottom of each content piece or by accessing the “Shop Now” button on the menu. From Growth Plans to music, iDisciple offers a treasure trove of personalized content to users across the globe. No matter the location or device, we help them to be more closely connected. Download iDisciple from iTunes or Google Play. To learn more about iDisciple visit our website.